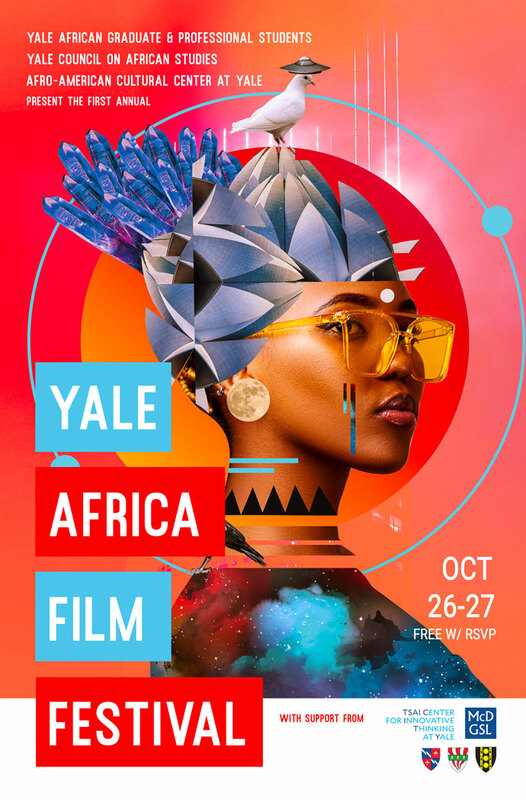 The Council on African Studies is hosting its inaugural film festival highlighting forward-thinking films from the African Continent and Diaspora. The festival sought films with visionary stories and new narratives which re-frame African experiences and identities through innovative, future-facing, empowering lenses. These films acknowledge and honor authentic cultural histories and indigenous languages while reshaping internal and external perceptions of the continent’s diverse nations. Amongst the screenings will be the U.S. premiere of award winning Mma Moeketsi, by South African filmmaker Rea Moeti; Kasala, by Nigerian filmmaker Ema Edosio and Bigger than Africa by Toyin Adekeye. All three filmmakers are scheduled to be present and to provide Q&As after the screenings. The festival will also feature panel discussions and social events over the course of the weekend. 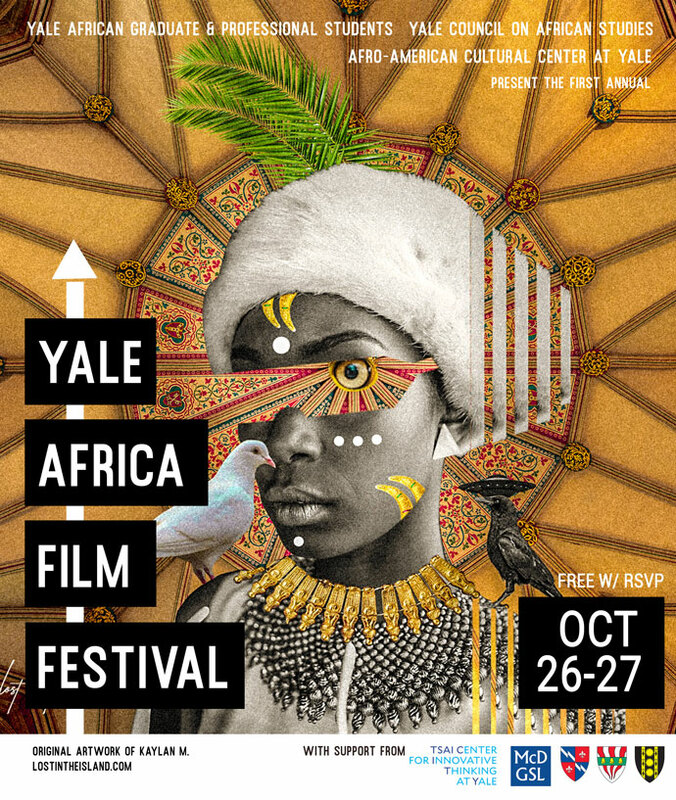 Co-Sponsored by the Afro-American Cultural Center at Yale, YAFF is supported by the Tsai Center for Innovative Thinking at Yale, the McDougal Center for Graduate Student Life; and Pierson, Benjamin Franklin and Silliman Colleges. The festival also celebrates the work of AfroFuturist artist, Kaylan M. of Lost in the Island, whose original art is featured on the official festival posters. 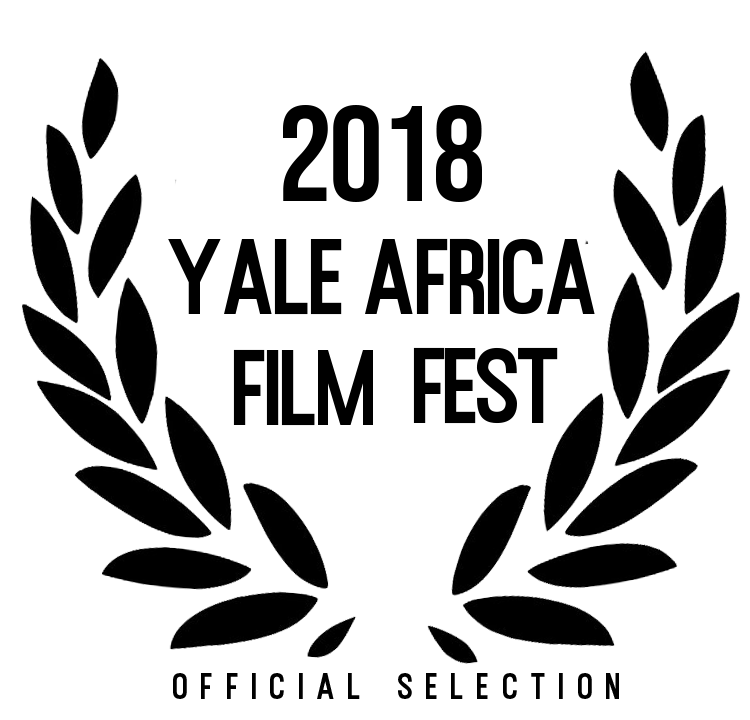 The film festival is free to attend but RSVP here: http://yaff.eventbrite.com. In the wake of the Marikana Platinum Mine wage strike of August 2012, Moeketsi’s phone is off and he is nowhere to be found. Mma Moeketsi can do nothing but wait pensively for her son to call her or at least pick up her phone calls. One part of her life is at a standstill while her physical presence must still operate as the housekeeper of her suburban employers, in an empty, lonely silence. Director Rea Moeti will be present for a Q+A after the screening. Tunji’s uncle loves his car. When Tunji and his friends take it for a joyride and crash, they know they’d better get it fixed before he gets home. When they turn to famous Lagos street hustles and get-cash quick schemes, things start to get really crazy. Four Friends and Five Hours in Lagos. Anything can happen. In a mad-capped and hilarious romp through the dangerous Lagos streets, the boys also find a hidden humanity. Director Ema Edosio will be present for a Q+A after the screening. Bigger than Africa, a ground-breaking documentary on the explosion of Yoruba traditional religion–also known as Santeria or Lukumi–in the Americas features interviews from six countries: USA, Nigeria, Brazil, Republic of Benin, Trinidad and Tobago and Cuba. From Wole Soyinka and Femi Kuti to the Deputy Mayor of Bahia, Brazil Bigger than Africa narrates the role of Civil Rights Leaders in the establishment of the tradition in the US. Director Toyin Adekeye will be present for a Q+A after the screening. In this film short Ephasini Lamabhudango (My Dream World), South African media personality Tsholofelo Maseko spends a day traveling through Johannesburg dressed in traditional Ndebele wear. Adorned with beaded necklaces and bracelets, waist beads, woven skirt and hat, she commands as much attention as indifference from urbandweller passerby as she commands the respect of the city’s Ndebele elders. She stands out not only because of the bright coloring of her beaded adornment, but because of her uncovered chest. She is graceful, stunningly beautiful, and incredibly powerful as she reclaims her agency from the colonial legacy of her country’s occupiers.